Now more than ever, communities need help adapting to the frequent and intensifying weather events caused by climate change. Reducing the impact of natural disasters such as flooding and wildfires is critical to keeping Canadian families safe, protecting local businesses and supporting a strong economy and the middle class. The Honourable François-Philippe Champagne, Minister of Infrastructure and Communities, and Jennifer Innis, Chair of the Board of Directors for Toronto and Region Conservation Authority (TRCA), today announced funding for erosion protection initiatives in Toronto, Peel and York regions. 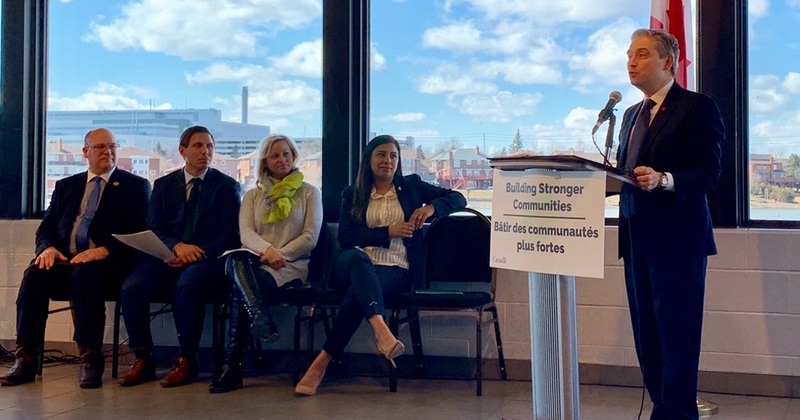 The Honourable François-Philippe Champagne, Minister of Infrastructure and Communities, discusses the Government of Canada’s support for the Toronto Region Ravine Erosion Management and Hazard Mitigation Project. Learn more about TRCA’s erosion protection work HERE.